At Seven Stones, we know what it takes you to help you find the Bali villa of your dreams. If it’s always been a dream of yours to buy a villa in Bali, why wait around any longer? Instead, make it happen by working with us. Our knowledge of Bali and the property market here puts us in the perfect position to make your dreams come true. We’ll help you with everything you could possibly want to know about how to buy a villa in Bali. All the hard work will be done by us so you can focus on deciding which of the many Bali villas for sale via our company is the right one for you and your family. You can trust Seven Stones to do the right thing and help you in every way possible. If you want to own a villa in Bali, you can trust us to offer you a bespoke service that’ll help make that a reality for you. We understand that each customer is unique, so we’ll get to know your needs and assist you based on those. There are so many wonderful villas available in Bali, and they’re available at a variety of prices. So, no matter what your budget is, you should contact us and let us help you find the villa that’s most suitable for you. There are Bali luxury villas for sale at the higher end of the market, as well as more affordable options as well. Deciding where to buy a villa in Bali will also have an impact on the price, and we’ll assist you in finding the location within Bali as well as the villa itself that meets your needs and preferences. If you’re reading this, you probably already want to own a villa in Bali. But we understand that you might not have a thorough understanding of the local property market here. That’s where we can step in and assist you. If you’re wondering how much is a villa in Bali or where the best spot to buy right now is, we’ll answer those questions and make the whole process clearer and easier for you. It’s our in-depth knowledge of the local market that makes this possible. With so many luxury Bali villas for sale, you’re sure to find a luxury option that works for you. As you can see by browsing the homes listed on our website, luxury is easy to come by in Bali, and that’s vital for many buyers. We feel that we’re best positioned to help you find the guaranteed luxury that you’re searching for as you prepare to make a purchase in Bali. There’s no need to accept second best when you could instead work with us to find the ideal home for you. Buying a villa in Bali is a huge step to take, and that’s why you need to assess a range of options before reaching a decision. With our fantastic range of buying opportunities, you’ll be able to get a comprehensive overview of what’s available before going any further. We have plenty of Bali luxury villas for sale, and they all offer something unique and interesting. Even if you’re not sure where to buy a villa in Bali, we’ll help you with that by showing you what’s out there and discussing the options with you. Bali is home to some of the most impressive villas you’ll find anywhere in the world, so you certainly won’t be short of options as you search for that dream home. You can get a lot for your money in Bali, so finding a villa at the right price will actually be a lot easier than you think. If you’re still asking yourself how much is a villa in Bali, we’ll give you all the information you require. There are lots of options and you’ll be sure to find the solution that feels right for you. You can see for yourself how much the various villas listed cost. This should give you a basic understanding of what prices in Bali are like. When the time comes for you to start searching for Bali villas for sale, having access to the experience and expertise we provide is invaluable. We’ll help you find the luxury Bali villas for sale that work for you, and we can do that better than anyone else. We’ve been doing this for a long time and our experience means we have a very good understanding of Bali villas and how to buy a villa in Bali. It’s this understanding that can be of real value to you as you aim to make a purchase. 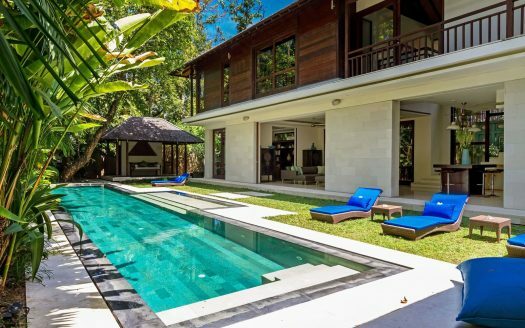 So if you don’t have much knowledge of Bali villas and what the buying process is like here, you should work with us because we can offer you the expertise and understanding that you might currently be lacking. At Seven Stones, customer satisfaction is hugely important to us. We always strive to ensure the experience of our customers is as positive as it can be. When you’re buying a Bali villa, you want to be helped by professionals who treat you well, are pleasant to interact with and who prioritise your needs. Those are all things we’re committed to, so you can trust us to offer a customer experience you’ll be happy with. As experienced professionals, we know all there is to know about buying a Bali villa. We believe this makes us a credible and reliable source of help and assistance when the times comes for you to make your purchase. Having already helped so many people find the villa of their dreams, we’re very confident that we can do exactly the same for you and your family.